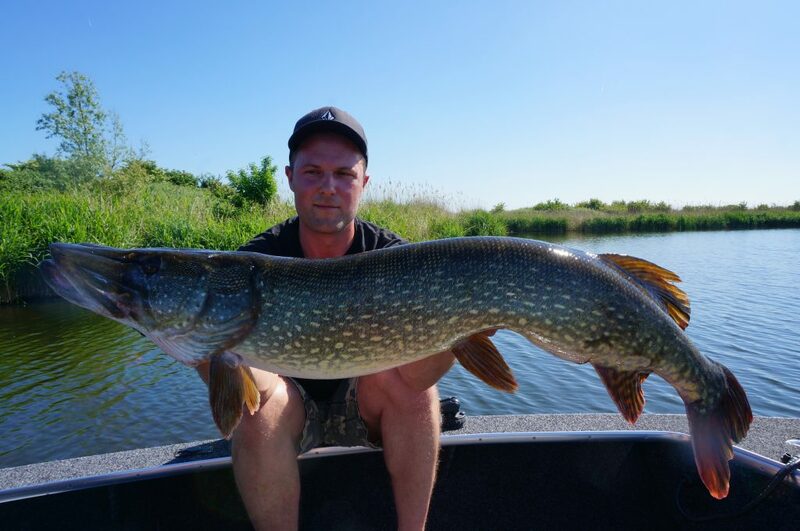 What a way to start the new predator fishing season in the Netherlands! Multiple fish over 10kg with some stunning specimen pike. 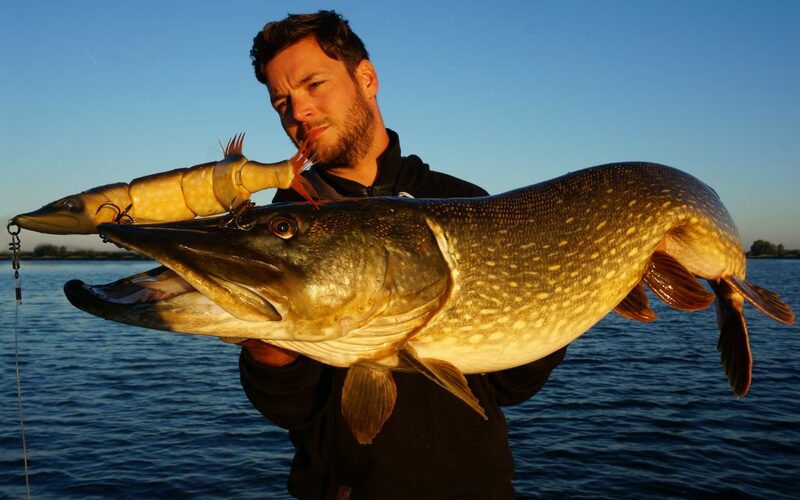 Huge 117cm / 14,05kg pike! Sean and Jesper on a roll! 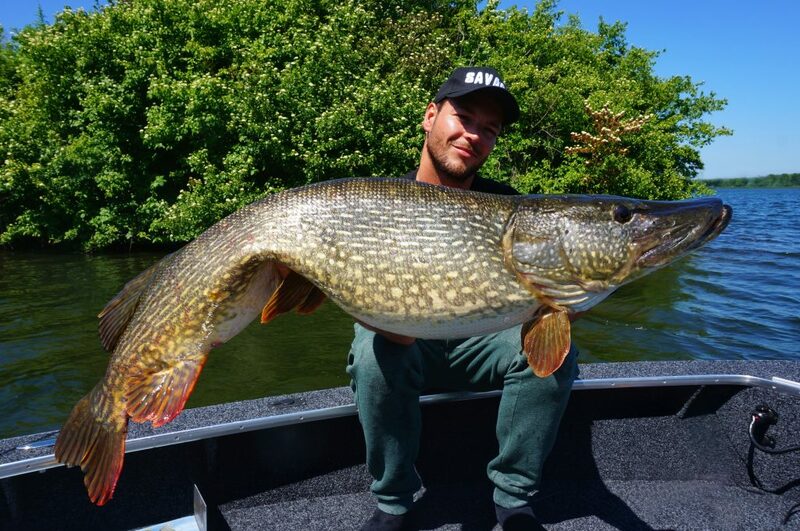 Even though the temperatures in the Netherlands reached tropical levels, the watertemperature was still acceptable and thus big predatory fish where the main target for the opening weekend. Sean and Jesper caught over 60 fish last weekend, with the first pike of the season measuring 123cm! Multiple meter+ pike came in for a short photo-session, including a massive 14,05kg pike! The strike was recorded on camera, the video can be found on our YouTube channel here! Swimbaits close to the spawning bream on the shallows seemed to be the key to success for them. Frans did a traditional fishing trip with Oscar from www.lureparts.nl and caught some quality fish on all kinds of baits, focussing on both zander and pike. A great way to mix things up and get the best of both worlds, and so they did! Making the best of the conditions and getting a well deserved break during the hottest hours of the day, they had a wonderful time back out on the water. Meanwhile Erik fished with his father in law and got some superb action while casting and trolling on one of the bigger lakes in the Netherlands. Even though the weather conditions where far from ideal and recreational traffic on the water was terrible, they did one hell of a job! A promising start of the new predator fishing season to say the least! Here are some photos to back up their story, in the end the photos say more than words don’t you guys agree? 123cm on the Lucky Lures Esox v2! 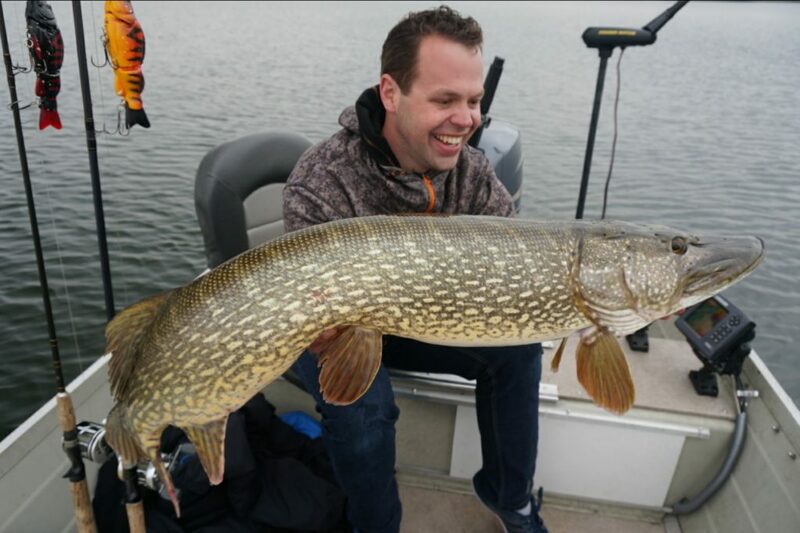 Dit bericht is geplaatst in Geen categorie en getagd fishing for pike, fishing guide, hecht, monsterpike, pike, visgids . Bookmark de link . ← Crazy fishing trip to Vänern with a 13,5kg fish!